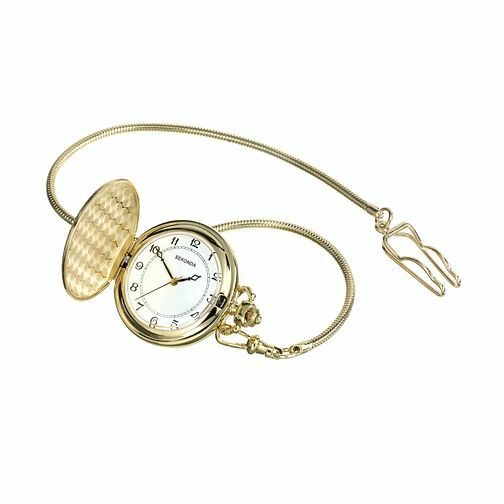 Buy yourself a touch of refinement with this Sekonda pocket watch. Sekonda Men's Pocket Watch is rated 4.3 out of 5 by 3. Rated 5 out of 5 by Anonymous from Good size, easy to read dial, light and fits well with my waist coat. I have always wanted a pocket watch, but thought they would be expensive. This watch was at the lower end of the price range, but is excellent value, taking into account it will only be used occasionally. Looks and feel great, easy to read dial even without reading glasses! Rated 4 out of 5 by Anonymous from Great watch, great price! After looking for a pocket watch for my dad, I came across this which was reasonably priced and looks well too! Fast delivery to store especially before Christmas!